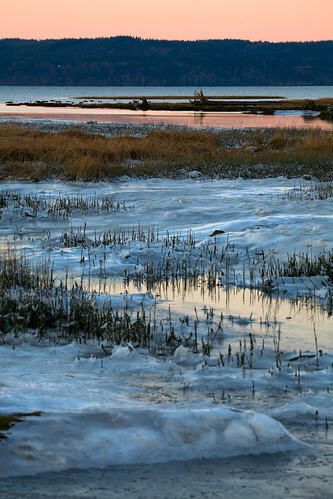 One of my favorite places to take pictures is on Fir Island, in Skagit County, Washington. 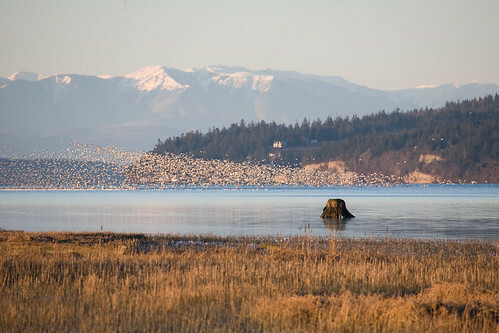 It’s a farming community in the Skagit River delta, and it’s home to around 1 million migratory birds every winter, including Snow Geese and Swans. Ever see a cloud of geese turn the sky white? It’d been weeks since I’ve been able to spend time hiking around with my camera, so I drove up Monday morning before dawn to see what I could find. There were geese and swans flying by all morning, but I never got a really great shot of any of them from up close. There were thousands of them visible in the distance, though. 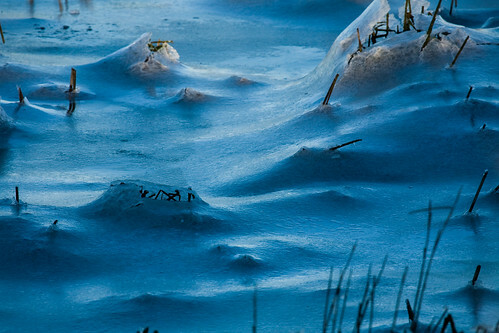 It’s been really cold lately, and there was ice everywhere, including the sea shore. There was a weird layer of office over everything; I assume that it was left behind by the falling tide. The plants looked like they’d been wrapped in cellophane. 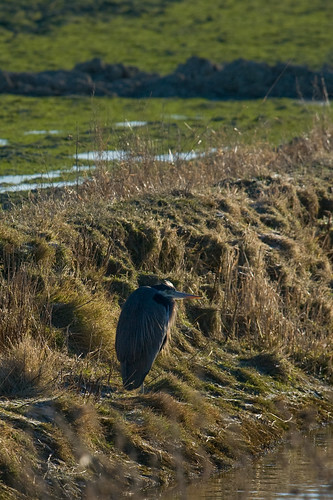 Finally, on the way out, I spotted this Heron hiding in a drainage ditch a few feet from the road. He was my third or fourth heron of the day. I can’t help thinking that a bit of fill-flash would have helped there, but he was close enough that it probably would have startled him.